The decision to run a Spanish language ad is a reflection of the company’s growing Latino audience, according to The New York Times. ESPN’s Hispanic audience increased by 15 percent over the past five years, far exceeding their non-Latino audience growth. While ESPN is looking to reach this Latino audience, an estimated 60 percent of those viewers watch only their English-language programming, while only 20 percent watch only their Spanish-language ESPN Deportes, according to The New York Times report. 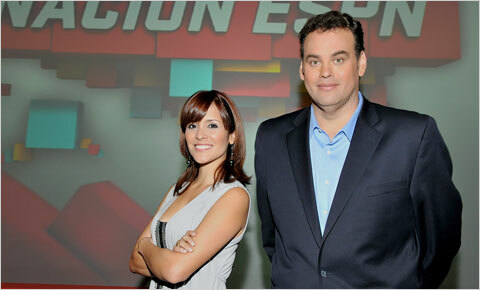 But ESPN, who launched their Spanish language network in 2004, is facing competition for the Latino market. 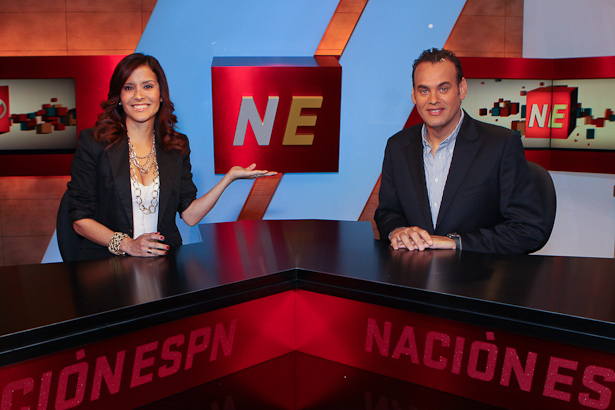 Univision will introduce it’s own sports news channel, Univision Deportes, on Saturday. Growing Latino audiences have also caught the interest of marketers outside of sports networks. And, it’s not just Spanish speakers they’re after. In recent months, the booming U.S. Latino population has prompted media outlets to expand English-language programming marketed towards Hispanic audiences. Fox News launched its own English-language Fox News Latino website. Univision, which recently started an English-language Tumblr, is also allegedly in talks with Disney to create an English-language television network. And NBC, which will soon officially launch NBC Latino, also oversees Telemundo’s cable channel Mun2 which features bilingual programming. And lastly, The Huffington Post, launched its English-language LatinoVoices section last August. As Latino immigrants assimilated and learned English, many marketers presumed they’d fade quickly into mainstream English language media, advertising executive Roberto Orcitold NPR. But to the surprise of many — a bicultural Latino audience interested in consuming English-language content has emerged quickly in the past few years. “And so, you have this hybrid American that is very proud and happy to be an American, but is very proud and happy to have his culture which makes him unique, or her unique,” Orci added.